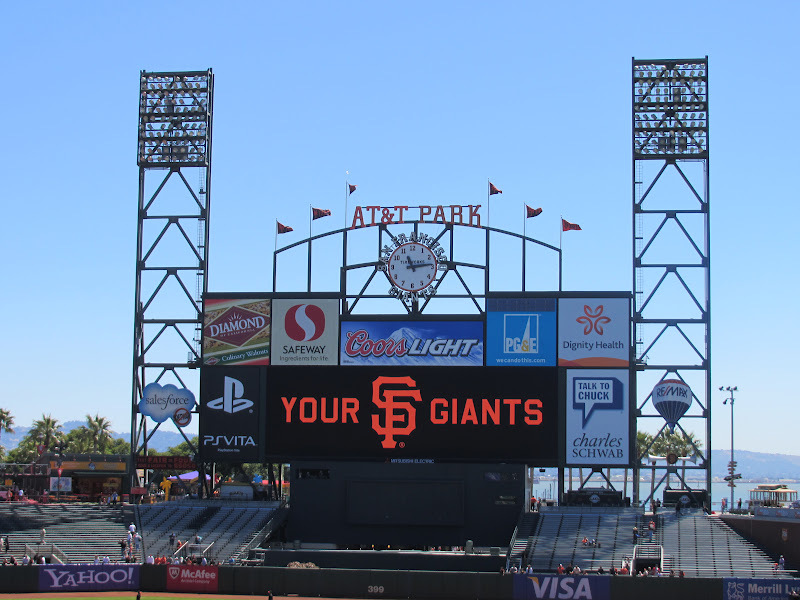 San Francisco Giants, National League Champions! The San Francisco Giants have beat the odds and have made it into the World Series! They’ve had a crazy journey so far in the post season and I can’t wait to see how they do tonight in Game 1 of the WS!! Even though AT&T Park lets you bring your own food and non-alcoholic drinks to the park, we usually end up buying food there. I may be biased but the food is pretty spectacular at the park! We discovered Club Level and ever since then, TM doesn’t like to sit anywhere else. They also have food there that isn’t sold in other parts of the stadium. One thing we always get is an order of Gilroy Garlic Fries. You can smell them almost everywhere in the park and they are a fan favorite. My most recent favorite thing to eat at the ballpark is the Crazy Crab sandwich. It will cost you a pretty penny at $16, but it was well worth it in my opinion. 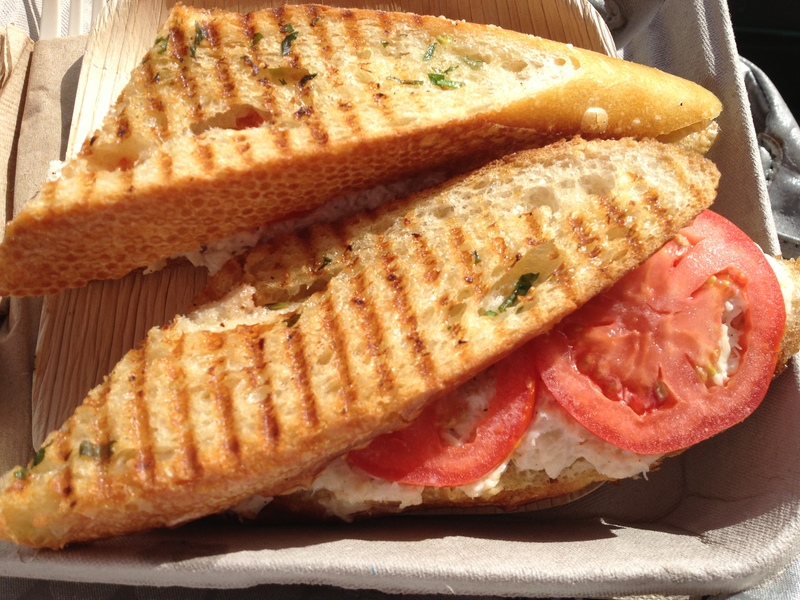 The sourdough bread was nicely buttered and grilled and the crab sandwich had beautiful sliced tomatoes on it. We’ve gotten the caramel apple fries a couple of times. 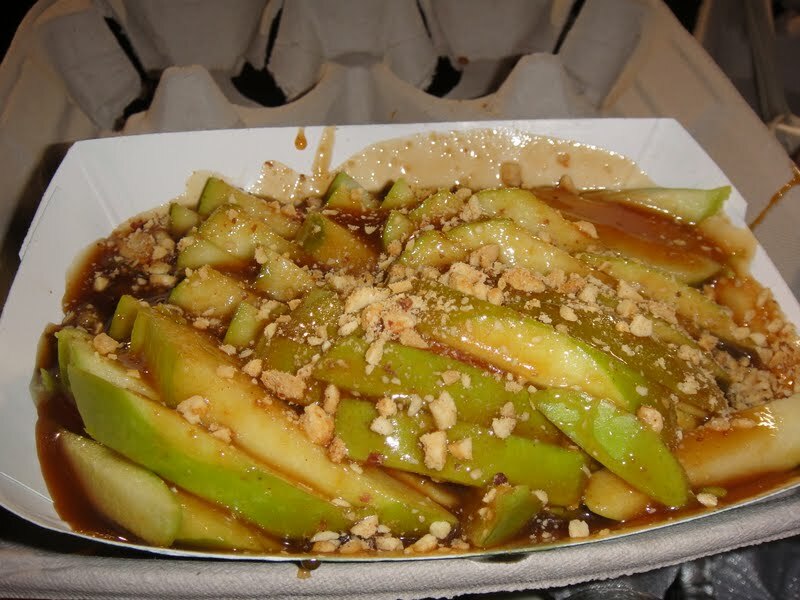 I think it’s a cut-to-order Granny Smith apple sliced into “fries” covered with warm caramel sauce and crushed peanuts for $5. Did I mention we’re going to Game 2 tomorrow? So exciting! GOOOOO GIANTS!